This glittering little mouse is also adorably cute. 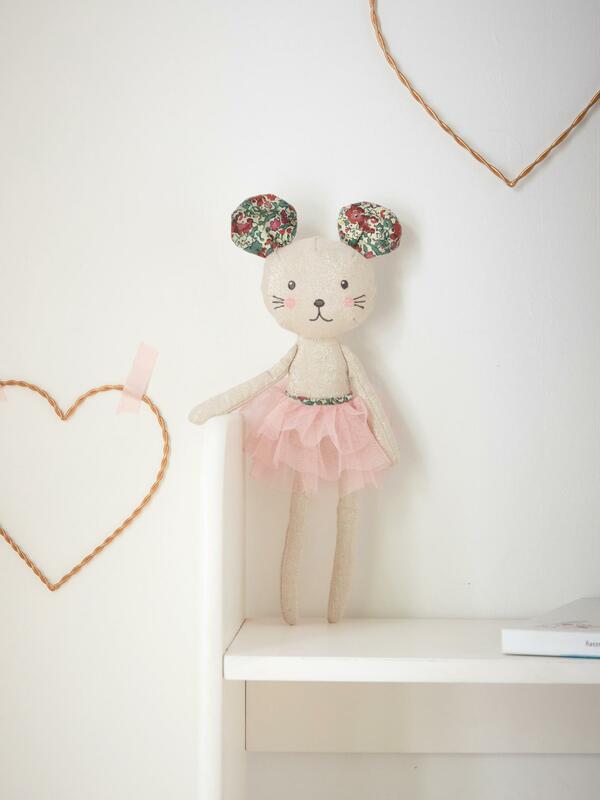 Refined and easy to grasp, this plush toy is a beautiful gift idea! Size, 27x10x5cm approx. Tulle tutu, 100% polyester. 40% polyester, 30% linen, 30% viscose. Liberty, 100% cotton.